Home » VW Atlas » How spacious is the 2019 VW Atlas? Family vehicles are designed to fit your family and your luggage. Thankfully, the 2019 Volkswagen Atlas can do more than just that. It has some of the latest features and technology that drivers will love. Shoppers should also know about its spacious interior. Let’s take a look at the 2019 Volkswagen Atlas legroom and cargo volume to learn more about it. The 2019 Volkswagen Atlas has three rows of seats and has a passenger capacity of seven. It is designed with cloth seating surfaces and a dual-zone climate control to give you a more relaxing ride. The Atlas also has a luxurious amount of legroom for you and all of your passengers. In the front row of seats, you and your front seat passenger have 41.5 inches of legroom available. In the rear row of seats, your passengers have 37.6 inches of legroom available. 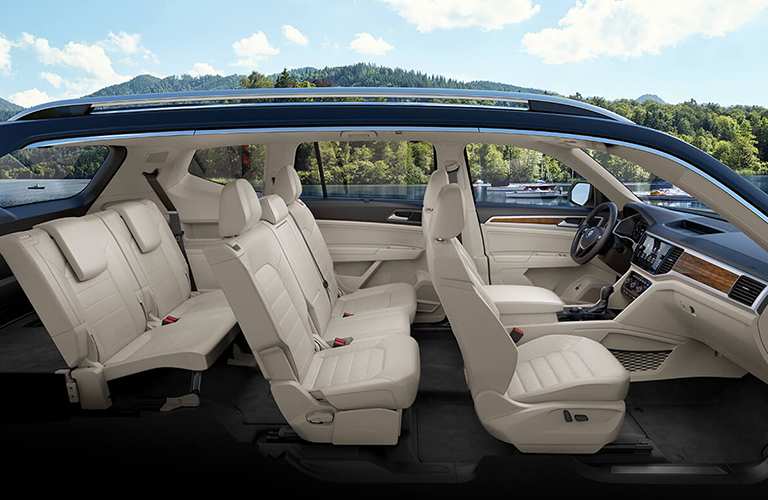 When you pack up for a road trip or any kind of adventure, the 2019 Volkswagen Atlas has a spacious interior for what you need to bring along. The Atlas has a 60/40 split folding 2nd row and a 50/50-split folding 3rd row to give you a more maneuverable interior. The 2019 Volkswagen Atlas has a maximum cargo volume of 96.8 cubic feet. That should give you plenty of space for whatever you need. After looking at the 2019 Volkswagen Atlas Legroom and Cargo Volume, you can see that this vehicle has a lot to show drivers and can make their drives more enjoyable. 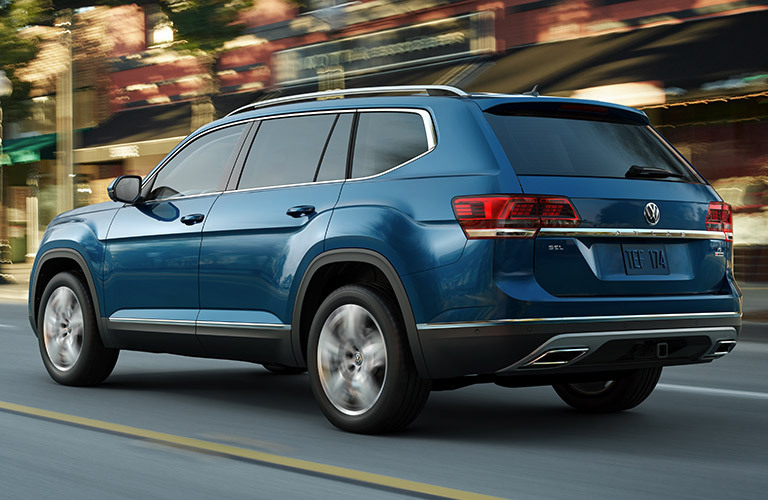 If you would like to learn more about the 2019 Volkswagen Atlas or any of our other 2019 Volkswagen vehicles, you can check out our online inventory and schedule a test drive with us at Speedcraft Volkswagen today. What colors are available on the Atlas? What does the Atlas offer? Which VW models have All-Wheel Drive? This entry was posted on Tuesday, January 15th, 2019 at 2:16 PM	and is filed under VW Atlas. You can follow any responses to this entry through the RSS 2.0 feed. You can leave a response, or trackback from your own site.